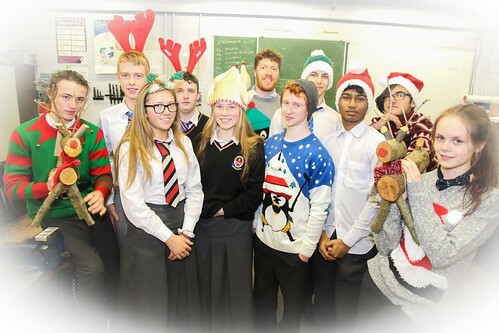 Coláiste Chiaráin teachers and students are getting into the Christmas spirit. As part of a fundraiser for Focus Ireland and Croom St. Vincent de Paul pupils are creating beautiful wooden ornaments. You can get your hands on bespoke reindeers, baubels, candle holders, Santas and snowmen. They can be purchased in the school from 5th December during lunch time. Thank you to Mr. Padraig McGarry, Ms. Joanne Bourke and Ms. Caoimhe McNamara for overseeing this fantastic initiative!